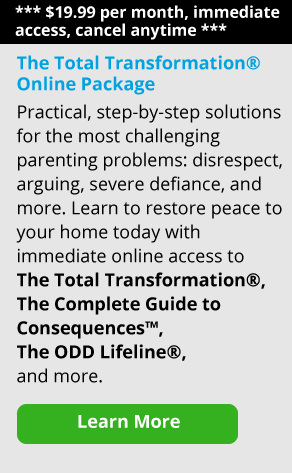 Is your child or teen fighting with you every step of the way lately, from refusing to get up on time in the morning, to complaining about homework at night? For so many families out there, this time of year is really tough. Your kids are tired, their teachers are tired, the winter has dragged on, and the end of the school year seems nowhere in sight. For kids, this time of year can feel like Groundhog Day, as they deal with the same routine without a clear break. In my experience working in residential treatment with special education classrooms, I also found that teachers are naturally feeling some of the same frustration and boredom. Cabin fever makes things more challenging for everyone. When you yell at your child for lack of motivation, you’re giving the resisting behavior power. Just as our kids are reacting to the bad weather and long winter, so are we—it’s a parallel process. If you’re trying to attend to homework and other school expectations in the midst of all the millions of other things you’re doing, and your kids continue to be unmotivated, it’s easy to get frustrated and feel defeated. If you don’t see good results from all the work you put in with your child, this lack of success just feeds the stress and anxiety—and the feeling as a parent that your responsibilities are never-ending. If your child seems less motivated than in the past, it may be due to a dip in interest. Maybe there’s an overly challenging subject (let’s say your child has a hard time writing, or doing algebra), or they really don’t jive with this year’s math teacher. I think it’s helpful to realize that many of these kinds of challenges will pass naturally, and your child will be back on track. For other kids, there may be social problems at play, including friends who are no longer interested in hanging out with your child, bullying, or break-ups with a boyfriend or girlfriend. Consider your child’s peer group. Are they all skipping school, drinking and/or smoking marijuana or getting detention? There may be peer pressure to under-perform in school, as well. Understand that there are times when your teen is more moody or ornery than usual. This is actually tied to normal adolescent development. My husband James and I found that it was important to “Expect (and accept) bad moods and bad days” with our child, and with the teens we worked with. Just like us, kids can wake up on the wrong side of the bed or go through tough times in their lives. For your older adolescent, problems at school could be connected to the struggle of becoming more independent, and the uncertainty of what life will be like after high school has ended. This doesn’t mean that you ignore rude behavior or let them slide when they’re not performing at school; rather, it’s an acknowledgement that these moods and behaviors happen and that you should not take it personally as a parent. The important thing for you to watch for is how long the problem and lack of motivation lasts and how pervasive it is. Try to understand what may be contributing to your child’s under-performance at school. This will be helpful when you sit down with them to assist in problem-solving the situation. Note: If your child seems distressed, despondent or sad for a prolonged period of time, or if you suspect they are abusing substances, have them seen by someone with diagnostic skills. Be sure to have a pediatrician rule out any underlying issues that might be causing anxiety or depression. There are things that all parents can do to help keep their kids motivated in school. Here are five suggestions that can help get your child back on track and across the finish line. Then leave the bedroom. If your child doesn’t do it, then there should be consequences and accountability. If he says he doesn’t care, don’t get into a power struggle with him over it. Kids will tell you they don’t care even when they do because it gives them a sense of being in control. Talk to your child in terms of “problem solving.” Focus on what your child needs to do to get through the problem situation. (For example, is he failing math, does he owe three writing assignments, or is he failing to pass in homework?) 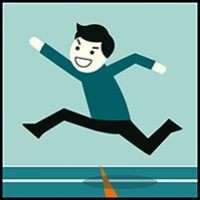 You can help him by first naming what’s going on: “You didn’t finish your writing assignment that was due last week.” Then, ask him about how he’ll handle it. You can say, “How are you going to solve the problem of having work missing?” If he can’t come up with an answer, you can help: “Finish the assignment, and take it in to your teacher after school. Maybe he’ll be able to give you some credit, and at least you’ve shown him you can do the work.”You may have to play the “Coach,” encouraging him by telling him that he can handle it and the work can be made up, the “Limit Setter” who reminds him that he can’t use the car if he has failing grades, or the “Teacher” who sits with him and helps him find the right solution to the problem. In fact, it’s important for you to play all of these three roles as a parent. Your approach may change depending on the seriousness and type of situation; be flexible in order to match your child’s need. Don’t take it personally: Try to remove the emotionalism from your reaction to your child’s poor school performance. Your approach with your child should be objective and neutral. Realize that even though it may seem like every other child is thriving and excelling in school, this is very likely not the case. Try to have realistic expectations for your child, including the reality that this can often be a difficult time of year for students. This doesn’t mean that you let your child off the hook for poor performance, but it does mean that you try to have matter-of-fact discussions with her about how she’s doing. Deal with this subject in a “businesslike” way, and don’t take it personally. Remind your child that her responsibility is to go to school and try her best. You can offer her a reality check that includes suggestions and encouragement to keep moving forward, one task at a time. Keep the communication about school flowing between you and your child. Talking about school can just become a normal part of your family life. Your caring and involvement may be that extra spark of motivation your child needs to get the work done. Talk with your child, tell her what you see and ask her about what’s happening at school. It’s your job as a parent to try to help your child through the situation, and it’s your child’s job to do what she needs to do (homework, class time, tutoring), to get it done and move on. It’s important to be in communication with your child about how school is going – to stay involved as much as possible.Let your child know that if she is not able to talk with you about the problem and come up with a way to solve it, you will need to communicate with the school. This isn’t a threat, it’s simply what you as a parent need to do to help your child. If your child doesn’t want to talk with you, you need to talk to others to find out what’s going on. For example, you may need to say, “It looks to me like you’re not doing much homework these days. I’m concerned. If you’re not willing to show me what you’re doing or talk about it, I’ll need to check in with your teacher.” And then follow through. Find a way for your child to be active and involved outside of the classroom. It may not be the first thing you think of, but helping your child be active is going to help him manage his more sedentary time like sitting at a desk all day. This can be through sports, outdoor time with the family, or just being able to take a walk or play with friends outside. It’s a challenge to do in bad weather, but well worth the struggle. Activities can also work as motivators. Maybe your child would respond well to a computer class, or an art class at the local college? There may be a social activity that might be motivating to your child – chess club, volunteering after school at the local pet shelter, getting together with his cousin who lives in the next town. All of these things shake up the routine, and give your child something to look forward to. Finally, remember to take care of yourself. Just as your child needs to find a way to be active and break up the monotony this time of year, so do you—especially if you’re challenged by your child’s lack of motivation and responsibility. Take a walk by yourself, get to the gym, have lunch with a friend, call your sister or buddy. You need and deserve the break. The truth is, sometimes you just have to cheer yourself on as a parent so you can cheer on your kids!